Kids always seem to find new and interesting ways to hurt themselves, intentionally or accidentally. Poisoning is the #1 or #2 cause of injury death annually, fighting for that honor with car accidents. The annual numbers on poisonings are out (thank you, Annals of Emergency Medicine). The new winners are opioids, laundry detergent packets, bath salts, synthetic cannabinoids, and energy drinks. Opioids are the traditional first place winner for deadly poisonings, and they are in that spot again this year. 90% of poisoning deaths involve drugs, and opioids are involved almost half the time. Opioids include all of the narcotic painkillers. They are intentionally abused because of the euphoria they induce; they are also accidentally ingested because people keep them laying around the house on countertops and in purses. When taken in high enough doses, the kids who took them forget to breathe; when taken chronically they are addictive. The new second place finisher is laundry detergent packets. 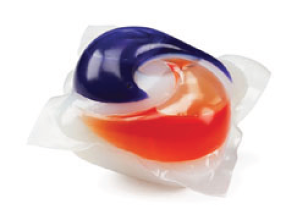 They are a problem because they are more concentrated than traditional laundry detergent, and can cause nausea, vomiting and sedation when taken by mouth, and irritation when put in contact with skin and eyes. “Bath salts” have been popular since 2010. They are substituted cathinones (stimulants) which cause disorientation, extreme paranoia, and violent behavior. In 2012 there were 994 reported exposures and 16 deaths. They are called bath salts because they resemble Epsom salts, but are also known as plant food, ivory wave, vanilla sky, and bliss. Synthetic cannabinoids (man made marijuanas) are common now and have an added level of danger above Mother Nature’s version. Kids have anxiety attacks, psychosis (loss of contact with reality), rapid heart rates, and seizures. In 2012 there were 5225 reported exposures and 6 deaths. The kids call this stuff spice, genie, Yucatán fire, or aroma. Drug screens do not pick it up. Energy drinks are on the upswing, causing about half of the 2.3 million calls to poison control centers in 2012. They cause seizures and heart rhythm abnormalities. The new kids on the block are the liquid nicotine refills for e-cigarettes, which come in vials without child resistant closures. One teaspoon is enough to kill a child. Liquid nicotine is unregulated, which means that in 10 states and DC a child can buy it; it can be advertised to children in all but 4 states. In 2014 poison control received 3353 calls for exposure to nicotine products, up from 1543 the prior year. Children can be exposed by inhaling the vapor, by swallowing the liquid, or by absorbing it through their skin. Children experience a racing heartbeat, vomiting, and grunting breaths, before they loose control of the muscles in their upper body and die. So take a few minutes to clean out your medicine cabinet. Throw out meds you don’t take anymore. Lock up the ones you do take, vapor refills, and laundry detergent packets. Don’t buy energy drinks. Talk to your kids about the risks of drug use, and learn the language they are using. While you’re at it, lock up the rest of your cleaning products and pesticides as well. Poison control’s phone number is 1-800-222-1222 in the US; keep it posted on or in every phone. They are excellent in an emergency, and they have more in depth analysis of which age groups are taking what and why on their site, if you are interested. Be safe. Safe is always better than sorry.